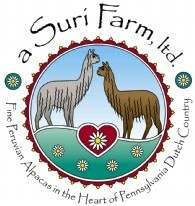 Fine Peruvian Alpacas in the Heart of Pennsylvania Dutch Country! Where would we be in life if we couldn’t laugh at ourselves? The stories below will show you that this business is not only enjoyable… sometimes, it’s downright funny. No matter how many books you read or people you talk to or seminars you attend – nothing can prepare you fully for this exciting event. It’s one of those things in life you have to live through to comprehend completely. Imagine if you will the panic that spread through New England, late in the night, as Paul Revere made that fateful ride warning everyone in the countryside about the impending onset of British troops…now you know what it feels like in the days preceding the delivery of your first alpacas! It is a very real and not so uncommon emotion.